These vintage heirloom seeds are beautifully packaged and will add a touch of nostalgia and variety to your vegetable garden and dinner plate. 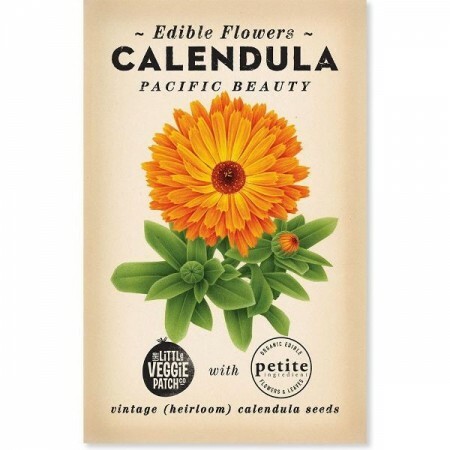 Calendula flowers have a spicy and peppery flavour and go great in salads and desserts. Sunny position preferred. No postage to WA. These vintage heirloom seeds are beautifully packaged and will add a touch of nostalgia and variety to your vegetable garden and dinner plate. 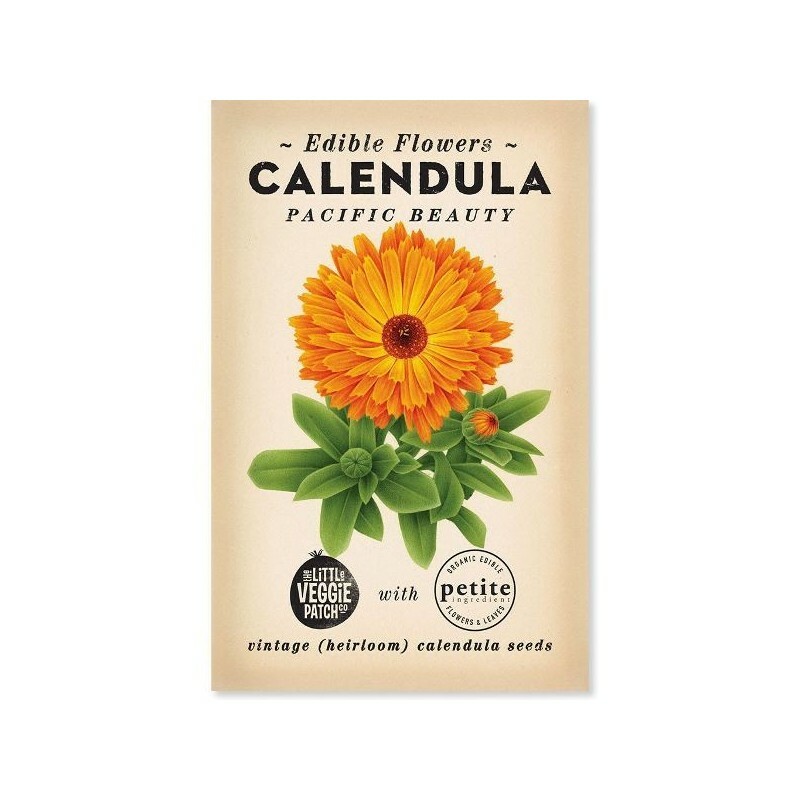 Calendula flowers go great on a wall garden, in pots or in the ground. Food use: A spicy and peppery flavour with a hint of citrus, use separated petals in pasta dough, salads and desserts. How to plant: Use a free draining soil that has compost added or a quality potting mix when in a pot. Sow seeds direct to flower bed, must be well hydrated until germination. Flowering season: Year round if you remove spent flowers.